CocoScan: The easiest and most efficient SEO Scan tool. 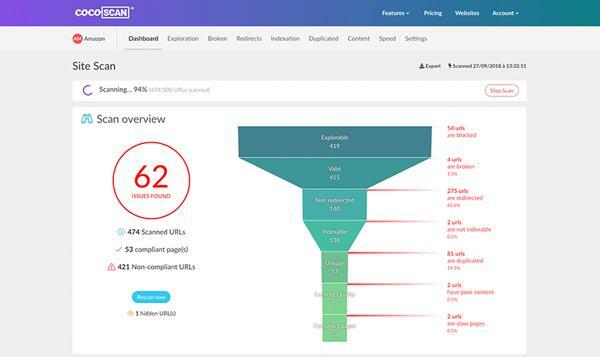 CocoScan is an easy and efficient SEO Scan tool that analyzes all your web pages and finds any indexation and exploration issues. We analyze your entire website and identify the factors that could affect your indexation and/or exploration such as broken pages, redirections, duplicate content, page speed along with detailed information about each issue. Our SEO scan is fast and with a technology developed in-house, you can access your results during the analysis without having to wait around for days to see your website’s SEO performance. You will get number of SEO errors of your website along with the specific URLs that contain errors. 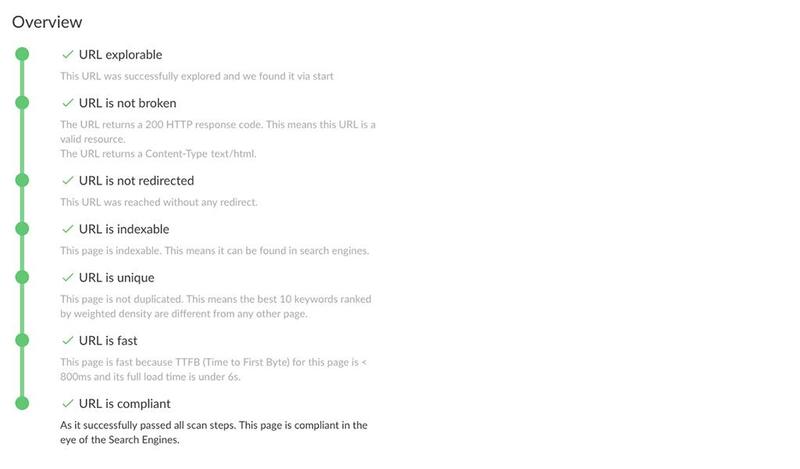 Our website crawler analyzes every URL of your site to tell you whether it’s compliant or not. With a personalized report for each URL you will know where a page failed in our check-point analysis. After your website scan, you will get a personalized to-do list with the most important errors to fix first. 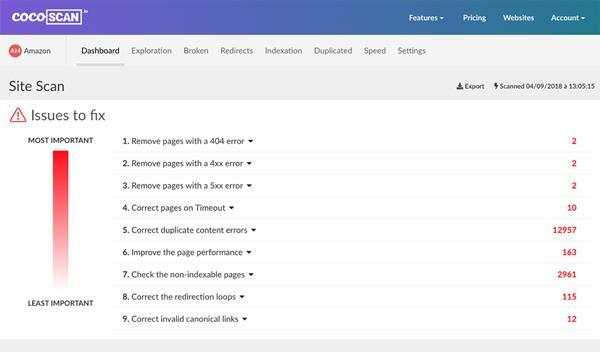 This way you can fix each error one-by-one and rescan page-by-page instead of having to scan the whole site. CocoScan is not a website crawler just aimed at technical developers. It is a simple tool that is accessible to anyone who manages a website. Come and try today for free! There’s no subscription - you only pay for the pages you want to be scanned.